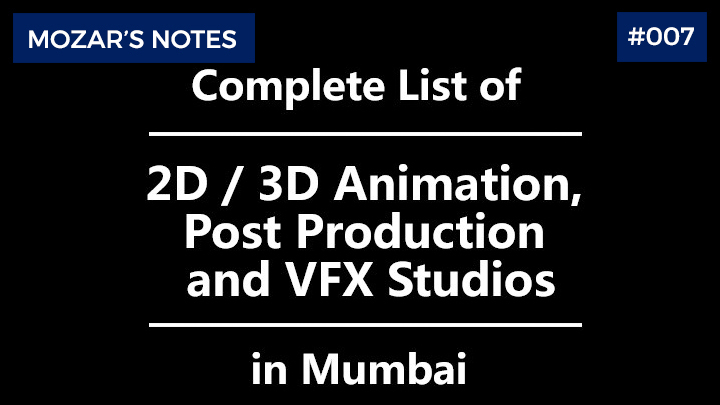 Check out complete list of 2D & 3D Animation, Post Production and VFX Studios in Mumbai. It was one of the most requested topics by Animation and Visual Effects artists. 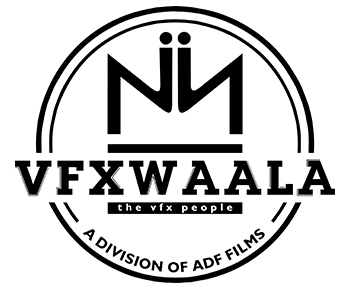 Check out the complete list of VFX Studios in Mumbai with complete details including official website, address, HR email id and contact numbers. Majority of Animation, Post Production and Visual Effects studios are based at Mumbai, the Media and Entertainment Hub of India. It has the maximum strength of post production houses compare to other states. All the official studio logos are copyrighted property of the respected studio. They are shown here for their own branding purpose, visibility and quick resemble only. However, if the studio owner don’t want to show his/her studio logo, kindly mail here and the logo will be removed from the post. Did we missed your company in this Post Production directory ? Please share it in the comments section. We will add in the list. ‘The Virtual Assist’ is the number 1 VFX blog of India as per survey of Feedspot – an international independent media which got developed after Google shut down its own RSS service named ‘Google Reader. We had taken utmost care to find and collaborate all essential information at one place. Studio logo, contact numbers, address and HR email id are taken from official studio site and industry artists. Our sole goal is to help all Animation and Visual Effects artists to get job fast. There are so many studios having multiple divisions across India. In this post, only their Mumbai branch information is given. Register free on our WhatsApp group to receive all latest 2D/3D Animation and VFX job requirements. This list of VFX Studios in Mumbai is not in any particular or alphabetical order. Please don’t consider the numbering as counting for top VFX studios of Mumbai. If any studio owner wants to edit or delete his / her post production house from this list, kindly do mail here. It will be rectified asap. Mainframe IT Park (Building H) and Master Mind, Royal Palms, Goregaon (East), Mumbai – 400 065. 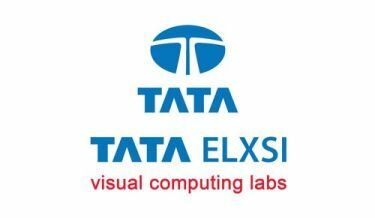 Double Negative India, Mainframe IT Park, Building H, Royal Palms, Mayur Nagar, Goregaon (East), Mumbai – 400 065. 4th floor, DLH Park, Near MTNL signal, S.V. Road, Goregaon (West), Mumbai – 400 062. 9th Floor, Building no 4, Infinity IT Park, Gn. A K Vaidya Marg, Dindoshi, Malad (East), Mumbai – 400097. 505, VIP Plaza, Opp. China 1 restaurant, Off New Link Road, Andheri (West), Mumbai – 400 053. 1st Floor, Ujagar Silk Mills, Sunder Baug, Next to Deonar Bus Depot, Govandi, Mumbai – 400 088. Boston House, B-Wing, 2nd Floor, No. 201, Suren Road, Gondivali Village, Off Andheri Kurla Road, Andheri (East), Mumbai – 400 093. Plot No B-28, 3rd floor, Bukhanvala Chambers, Off Link Road, Veera Desai Road, Veera Industrial Estate, Andheri West, Mumbai. – 400 053. A – 101, Paradigm Towers, Mind Space, Off. Malad Goregaon link road, Malad (West), Mumbai – 400 064. A 202, Neo Shine Building, Near Monginis Cake Factory, Off. Link Road, Andheri (West), Mumbai – 400 053. 601,6th Floor, Landmark Palinaka, Above Gold Gym and HDFC Bank, Bandra (West), Mumbai – 400 050. 104, Marwah Complex, Off Saki Vihar Road, Krishanlal Marwah Road, Andheri (East), Mumbai – 400 072.
sir what about Rhythm & Hues there no contact about it. Pingback: Dare to Participate in the "Dark Side Challenge" by Cebas? I am looking for an good but economical 3D architectural visualisation house for an urgent job . Any recommendations? I want to become a famous prson in the field of animation. now i am a local editor on facebook. Chek out me on facebook ( Ranchordas) Rdx editor. I am searching for a good, efficient and ‘ambitious’ 2D and 3D animation house in Mumbai who is high on quality for a current assignment as well as potential repeat business in the explainer videos category. The range of assignments could also extend to 2D animation (Animate CC, Toonboom,) including the use of video hive kind of stock imagery for explainer type of videos to hi-end 3D work for a pitch that I am doing for a series. Shall appreciate your reply. I can’t comment on as which is the best studio. I had given url of each studio. Kindly check projects of the studio and approach them. hello amit sir i am now the member of the animation studio called thoris whic is located in tokiyo and fukuoka prefecture from japan. i am looking for the small companies or the group who can work for me as the free agent.can you recommend me some of those people. Kindly contact me on ‘info@thevirtualassist.net’ or WhatsApp on +919987502251. Thank you for taking the time out to reply Amit. Being an industry professional I know most of the so called ‘best’ studios. I also know that the project I have cannot (right now) pay the prices they dictate. So through your contacts I was hoping to find an ambitious start-up; smaller companies or individual teams who are keen to grow big! Do keep me posted. Thanks again. Hello sir, myself Darshan Rathod and I am looking for job in vfx on set supervisor for serials, currently working with grey matter vfx studio bt now looking for a company change bt I am not getting any openings so plz can you recommend me some contacts…!!! Kindly join my WhatsApp job group to receive latest job updates. Check it out. Thanks for your reply sir ill text you on WhatsApp…..
Mumbai and Pune based VFX studios listing is done. Hyderabad, Bangalore, Chennai will also be released. I am looking for Rotoscoping Freelance (vfx or streo). We are a team of ten members that all have experienced and we’ll skilled. 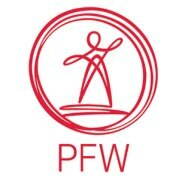 The details are taken from official websites and WhatsApp job groups. For which studio you are getting issues?